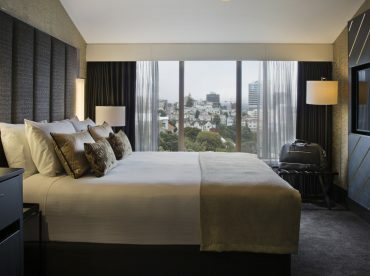 Spacious elegantly appointed high floor room with 1 King Bed, ensuite with rain shower & Amiki manuka honey amenities. Enjoy a Bose sound system, mini-bar, tea & coffee facilities, espresso machine, 49″smart TV, robes, slippers and complimentary wifi. • Plush twin queen beds, hairdryer, iron, ironing board, minibar, tea and coffee making facilities.